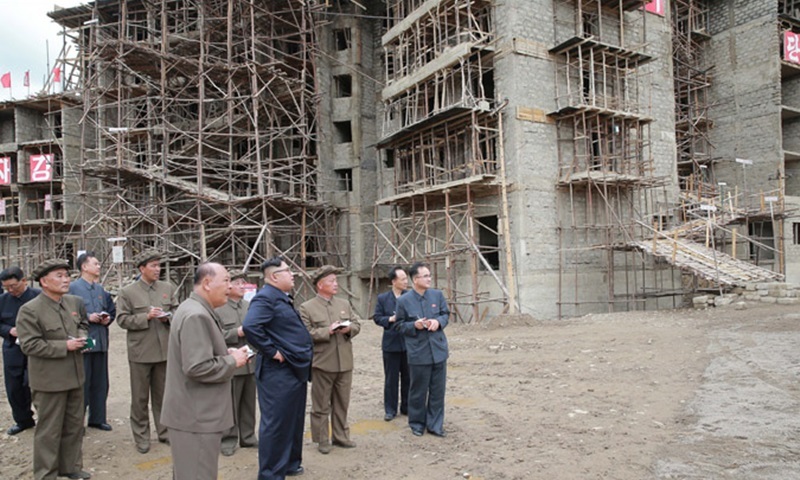 North Korean leader Kim Jong Un visits a construction site in Samjiyon County, Ryanggang Province. Image: Korean Central News Agency (KCNA). An exhibition in North Korea’s city of Hyesan was held to recognize donations by residents towards the construction and remodeling efforts currently ongoing in the Ryanggang Province region. The exhibition was hosted on October 23 in front of the Kim Jong Suk Art Theater. 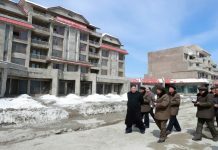 Daily NK sources reported that the purpose of the event was to acknowledge those who had donated money and materials to the Samjiyon modernization project. 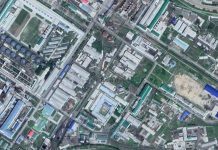 The North Korean authorities released detailed accounts of individual donations at the event. “The Hyesan Construction Effort Donation Exhibition went off as planned in the city center. 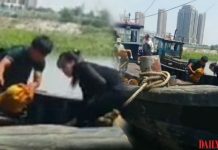 Residents from other areas were also seen participating and bringing materials to donate,” a source in Ryanggang Province reported. The exhibition showcased several items given to workers involved in the construction efforts and was attended by Party officials, the People’s Committee, construction officials, and local residents. The source said that workers from factories and offices that were linked to the donation campaign attended in groups. The items displayed included those typically used by construction workers like long underwear, work clothes, toiletries, blankets, and leather floor covers. Once the exhibition ends, all of the items will be sent directly to Samjiyon construction sites. As one of the primary purposes of the exhibition was to evaluate the success of the donation efforts, attendees showed a mix of emotions according to how much they had been able to contribute to the cause, a separate source in Ryanggang Province explained. “While those who had donated a lot were complimented and congratulated, it was a very different story for those who were unable to meet the Party’s expectations. In the end, the event turned into a platform to criticize those who did not meet quotas and encourage them to donate more,” she said.